Gucci Launches Home-Furnishing Pop-Ups at Holt Renfrew as well as in NYC: Italian luxury brand Gucci has launched a unique set of pop-ups for its home furnishings line at Holt Renfrew’s 50 Bloor W. flagship in Toronto, as well as at its Toronto Yorkdale and Vancouver stores. All three will be open until early January 2019. 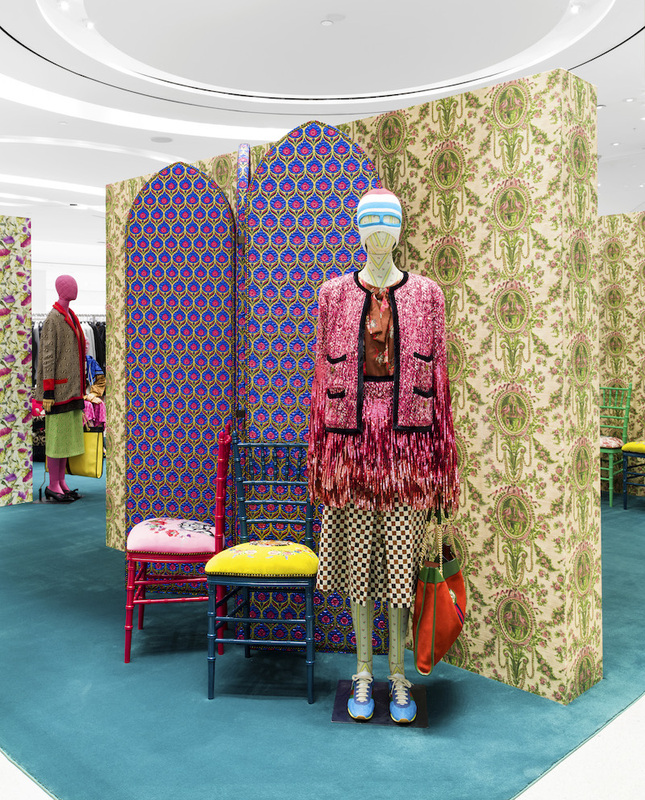 The pop-ups feature a range of chairs, tables, pillows, candles, and wallpaper, all part of Gucci’s colourful new aesthetic that could see it become the world’s top-selling luxury brand, surpassing Louis Vuitton. The Bloor Street store’s pop-up is located on the store’s second level across from Gucci and Chanel boutiques, and is steps away from the recently revamped footwear hall. Yorkdale’s is on the store’s main level. The Vancouver Gucci pop-up is located on the store’s pedway that connects Holt Renfrew to other retailers at CF Pacific Centre. Holt Renfrew’s Vancouver pedway is especially unique as it is literally above a busy street, and the space has housed several unique pop-ups such as Prada and Moncler. Last week, Gucci opened a massive outlet store at the Toronto Premium Outlets, and there have been line-ups since. Gucci also operates standalone stores in Toronto and Vancouver as well as concessions in Holt Renfrew stores nationally – Gucci is bullish on Canada and will be renovating/expanding its standalone units as well as adding a ‘World of Gucci’ concession to Holt’s Yorkdale in 2019. *Photos were provided by Gucci. Kotn’s Black Friday and Cyber Monday with a Charitable Twist: Toronto based e-commerce brand Kotn has a unique campaign the works for Black Friday and Cyber Monday - nothing will go on sale, but 100% of Kotn’s profits will go to rebuilding 2 schools in Egypt. The initiative runs from November 23 - November 26. A related Egyptian connection — Kotn began as a strong menswear brand of everyday essentials and launched their first collection of womenswear made from ethically-sourced Egyptian cotton in 2017. Kotn is building schools in the region of Egypt where their cotton is grown to stop the illiteracy epidemic in the region. Last year, Kotn set a goal to completely fund their second school with 100% of the profits from Black Friday and Cyber Monday. The goal was not only met but was overshot by more than $10,000 - a total of $56,330.52 was raised. For Black Friday and Cyber Monday 2018, Kotn has set a goal to completely rebuild 2 schools in need. Both schools, El Lebeidy and Fatthallah Ghazy, are located in their cotton farming communities. Instead of building from scratch, Kotn found that the need is currently to rebuild schools that had not been cared for and are no longer functional. Kotn is not only building out the schools, but is providing all the infrastructure around them including salaries for teachers, laptops, maintenance for the roads that link communities to the schools, books and supplies, science labs, water and electricity, furniture, technical training for facilitators, etc. Cadillac Fairview Announces Partnership with SHAPE to Transform CF Richmond Centre: Cadillac Fairview has partnered with SHAPE to transform CF Richmond Centre into a 27-acre mixed-use master planned community that will feature retail as well as a walkable and connected living environment, shopping, dining, and entertainment. At the centre of the transformation is the renowned CF Richmond Centre that is currently home to major brands such as Apple, Zara, Aritzia, Uniqlo, Lululemon, Le Creuset, Clinique, The Bay, Cactus Club, and much more. Once complete, there will be a boutique street front shopping to international brands, green spaces, lively streets, and a new central plaza. 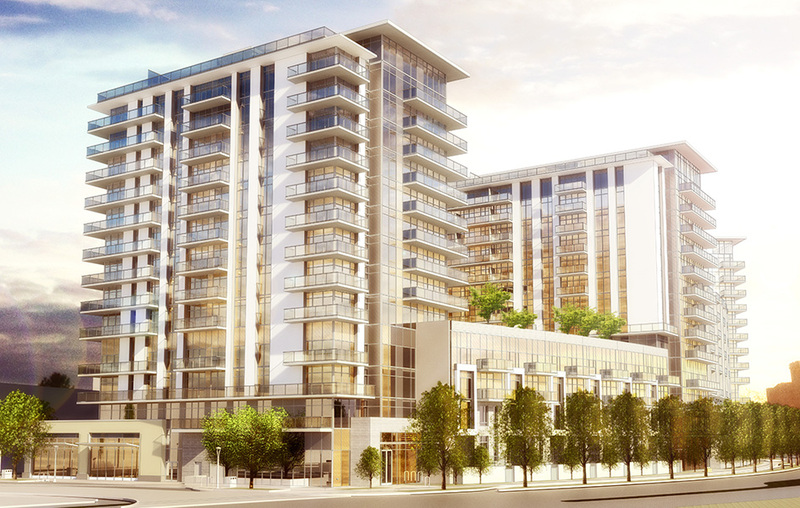 There will be over 2,000 new homes added, from studios to townhomes. Homeowners will have access to over 150,000-square-feet of amenities including entertainment suites, music and multimedia rooms, games and children’s playrooms, multiple lounge areas, and outdoor gardens. In conjunction with the announcement is a Richmond Centre Gift Card offer for those who register to receive exclusive updates. Ten $500 Gift Cards valid at Richmond Centre will be distributed after the January 14, 2019 deadline. The Presentation Centre will be opening in early 2019 at 6331 No. 3 Road at CF Richmond Centre. Club Pilates seeks 1,500 — 2,000-square-foot locations with 20-foot minimum width (rectangular with clear-span preferred) in food-anchored neighbourhood shopping centre with full signalized intersection access. Ideally, inline spaces are preferred where pieces of equipment can be mounted on both sides of the wall — the occupancy load is generally 12-14 students and one instructor during classes from early morning through to evenings. Aurora Realty Consultants has partnered with Club Pilates and Don Gregor is the contact person for interested landlords. Email: dgregor@auroraconsultants.com or call: 905-853-3580. Bayview Village Launches Hammam Spa Pop-up to Bring Further Joy to Shopping Season: In advance of its second permanent location of 13,000-square-feet, scheduled for fall 2019, Bayview Village has opened a luxury pop-up feature in an urban spa sanctuary within its successful downtown location. Offering many award-winning services and skincare products, the temporary boutique will be open through the winter season. Holiday services include complimentary face mapping skin analysis with a Dermalogica expert and an introduction to Céla, Canada’s first luxury skincare line founded by Hammam Spa owner, Celine Tadrissi. The Hammam pop-up space is designed to be a modern oasis featuring a marbled palette of cool greys, greens, and gold with a central focal moment for product experiences and demonstrations. The boutique’s walls are decorated with a curated assortment of Hammam’s best-selling products including Dermalogica, SkinCeuticals, Petite Amie Skincare, OverEZ, and Céla. Two private, mini treatment rooms allow guests to enjoy facials and targeted skin peels. The second permanent Toronto location in the fall of 2019 will be within the east wing of Bayview Village. Designed by Antonio Tadrissi and his team at Prototype Design Lab, the full-service, co-ed day spa will feature a 500-square-foot Hammam Steam Room and an additional 13,000-square-foot for private rooms and treatments. If you are in need of a break from pre-holiday shopping, start your relaxation at the pop-up, which is open Monday – Friday, 10:00 am – 9:00 pm, Saturday from 9:30 am – 6:00 pm and Sunday from 12:00 pm – 5:00 pm. 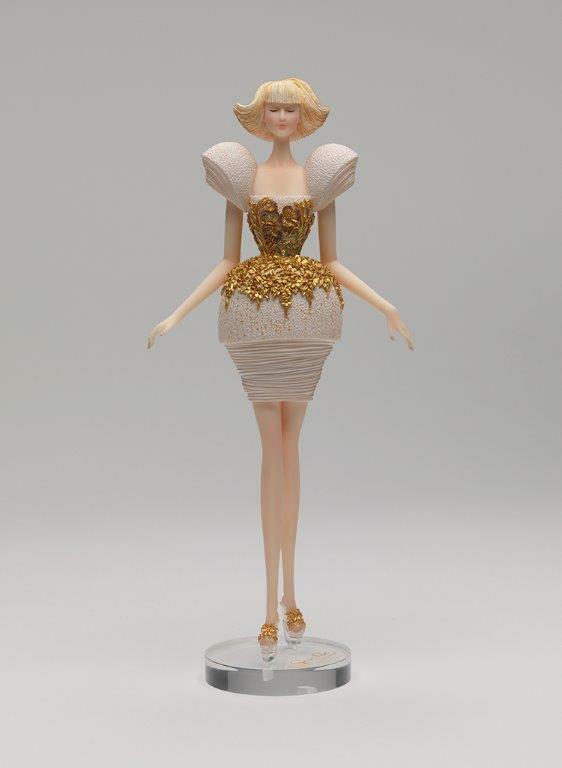 Haute Couturier Guo Pei Entrances with VAG Exhibition and Limited Edition Doll: The Vancouver Art Gallery (VAG) has made available a limited edition doll to accompany the successful Guo Pei: Beyond Couture Exhibition which features more than forty complete looks from the haute couture designers most iconic runways from 2006 to 2017. The dolls are not exact replicas of the original pieces housed in the VAG’s rotunda, as the details would be impossible to duplicate, but are statuesque versions suitable for collecting. The VAG will be the only authorized dealer of the dolls in Canada. With a price tag of $500, there are 999 dolls in three editions which are differentiated by different wig colours. Each doll comes with a Limited Edition certificate and is hand cast and hand painted. Fans of the designer and doll collectors can visit the Beyond Couture until its last day on January 20, 2019. Palladio Jewellers Relocating after 20 Years: For over 50 years, Vancouver-based Palladio Jewellers has created captivating pieces of jewellery using the purest metals, rarest precious gems and finest, graded diamonds. Their collections for both men and women exemplify Palladio’s fashion forward taste and superior workmanship. For the past 20 years, Palladio was located at the Terminal City Club at 855 West Hastings, and maintained an exquisite showroom which carried an extensive selection of finely crafted timepieces from an exclusive collection of world-renowned manufacturers such as Vacheron Constantin, Parmigiani Fleurier, Rolex, Jaeger-LeCoultre, Panerai, Girard-Perregaux, Raymond Weil, and Franck Muller. In December, the retailer will be moving into a corner retail space at 900 West Hastings Street, directly across from the Vancouver Club. The retail space most recently housed the flagship location for defunct footwear retailer Ingledew’s shoes and prior to that, it housed a 5,000-square-foot Chanel store which relocated inside Holt Renfrew in 2010. The lease deal for Palladio’s new store was handled by brokerage CBRE in Vancouver, under the direction of Adrian Beruschi, Mario Negris and Martin Moriarty. Experience Canada’s Only Parka-Insulated Winter Lodge: Life in the Back 40 at the Woods Parka Lodge in Haliburton: Retailer Sport Chek and outerwear brand Woods have launched a one-of-a-kind winter getaway, giving adventurous travelers a chance to spend the night at Canada’s first and most likely ever parka-insulated winter yurt - The Woods Parka Lodge. At the lodge guests can snowshoe up to 60-acres of snowy countryside, engage with private yoga lessons, or just chill and watch the stars. 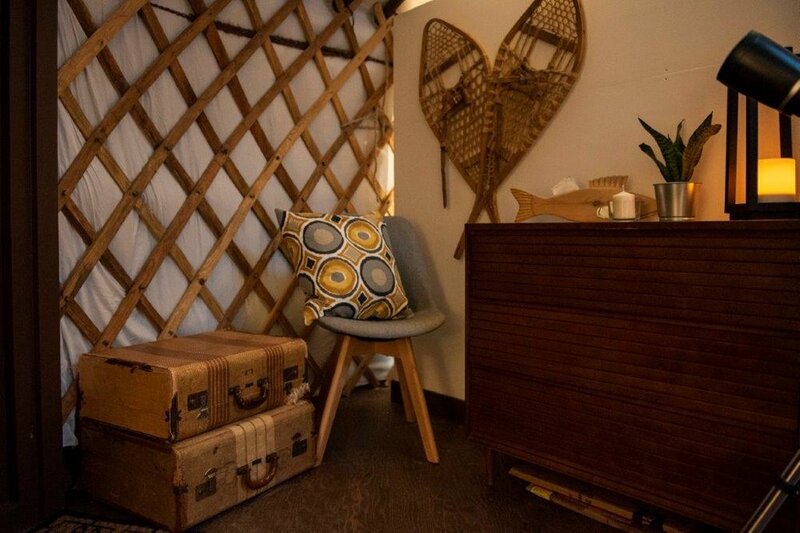 Located in Kennisis Lake in the Haliburton region, this original design winterized yurt was inspired and built with the new Alverstone Expedition Parka from Woods. The same durable materials that explorers have depended on for over 100 years to face some of Canada’s harshest winters was used to drape this yurt, resulting in ultimate protection from the cold and harsh winter weather. The Woods Parka Lodge experience will be available for booking exclusively on Airbnb for a limited time on a first come, first serve basis. Upon arrival, guests will be treated to a Woods Alverstone Expedition Parka or McBride Bomber Jacket to keep them comfortable and warm for the duration of their stay and to take home with them. Club Monaco x Reigning Champ Release Heritage Crest Capsule: Iconic Canadian retail brand Club Monaco and Vancouver-based athletic wear designer Reigning Champ have teamed up to create an exclusive capsule collection featuring Club Monaco’s heritage crest from 1985 which is now available for holiday shopping. Handcrafted in Reigning Champ’s factory, the five-piece capsule features two unisex T-shirts designed in the brand’s custom developed Ringspun Jersey and three unisex sweatshirts in Midweight Terry that pay homage to both brand’s Canadian roots. The vintage-inspired heritage crest capsule collection is available in limited quantities across Club Monaco’s Canadian stores and e-commerce. The capsule collection was first available at Club Monaco’s Bloor Street flagship in early November with the first 250 purchasing customers receiving a limited edition Reigning Champ x Club Monaco tote bag as a gift and optional personalization of their sweatshirts and T-shirts with embroidered monogramming. Million-Bottle Milestone: Non-Alcoholic Beverages Distribution Deal Bolsters Grocery Store Offerings for Hill Street: Hill Street Beverage Company Inc. will be increasing its retail presence in Canada now that it has secured new national distribution agreements with Loblaws, and National Importers. These distribution agreements have contributed to the achievement of a major sales milestone: 1,000,000 bottles of alcohol-free wine sold by the company since it was founded in 2008. Hill Street Beverage Company is the world’s most award-winning company exclusively focused on alcohol-free beer, wine, and adult format beverages. Hill Street products include Hill Street Craft Brewed Lager, Designated Draft alcohol-free beer, Vin(Zero) wines, and Vintense wines. Collectively, these distribution agreements move Hill Street towards achieving its stated goal of having products in 7,000 outlets by the end of 2018. In addition, Hill Street has applied for licenses to produce and sell cannabis-infused adult beverages in Canada and plans to do so as soon as cannabis-edibles become legal, which is currently expected by the fall of 2019. ﻿Helen Siwak is the publisher of EcoLuxLuv.com Magazine, a Marketing & Media Strategist for numerous luxury based companies and content creator for local digital and print publications. When not writing, she is attending fashion events, traveling, and advocating for animal/human rights. helensiwak@yahoo.com.